This is the point where i admit to my obsession and confess to my addiction. To be honest I can’t pin point what it is about Marc Jacobs but all i know is i love him and I am hopelessly obsessed with his simple yet elegant, fashionable and unique designs. 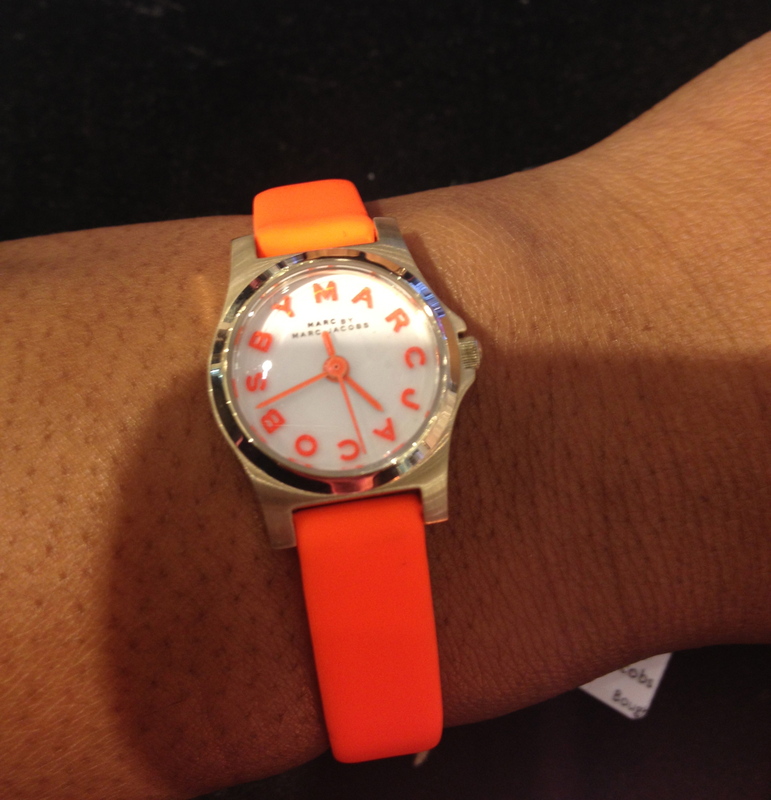 With Marc Jacobs on my “New York Shopping List” and having recently fallen in love with his new watch collection, I knew i had to come back with one. And like i said before, There is just something about the mini orange leather strapped, small faced watch that i love. These days i have a “thing” for orange, so I just knew this was the one! Whilst the Dollar rate to the pound may not have been great, at 1.5 it was the best i was gonna get. Plus with Macy’s 10% off visitor’s card, who was i to complain.